From time to time my forms behave in a strange way, ie they do not stop users from sending the form with required fields not filled in. I can go into the form, reset the required fields and save it and it works fine for a day or two, but then it will again stop working properly. Was the form embedded on a website? Can you share to us the URL of the website where we can also test the form if it is embedded? 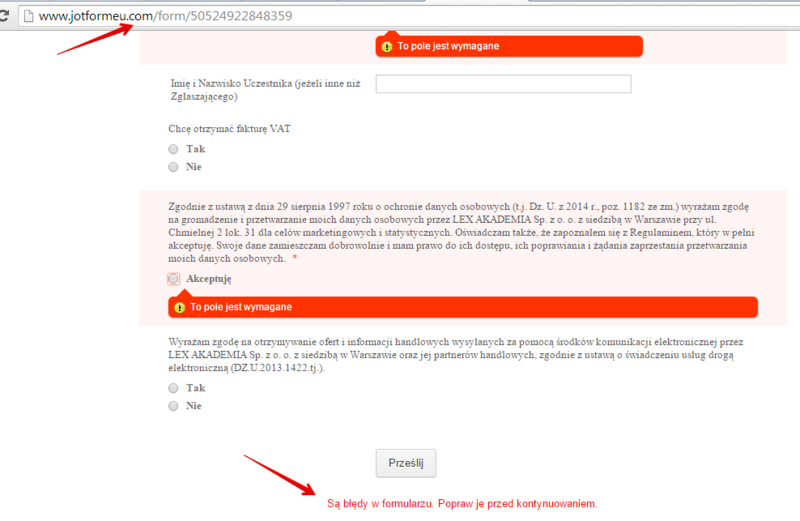 Using the URL of the form http://www.jotformeu.com/form/50524922848359 I could not reproduced the issue. the form cannot be submitted if there were unfilled questions.